Let me begin by saying Strawberry Shortcake is one of our all-time favorite desserts. When my husband and I first met, I learned that apple pie and strawberry shortcake were his favorite desserts. I remember buying the little round cake cups at the grocery store and topping them with fresh strawberries and whipped cream. Soon after, we began buying the Sara Lee pound cake which I would slice horizontally to form three layers which I would fill with strawberries and whipped cream. I remember thinking that if this doesn’t impress him then I don’t know what would – I’m joking. Wow, that brings back memories I think I’m going to prepare one of those delightful shortcakes in the future and post to see what you think. 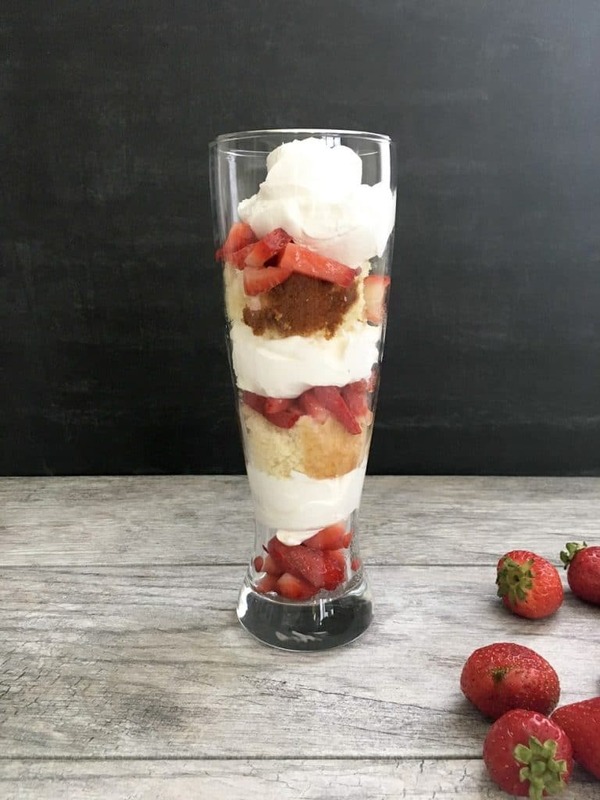 We haven’t had much strawberry shortcake this summer for whatever reason, so I decided to prepare one this past weekend, but I wanted to do something a little different, so I opted for a Strawberry Shortcake Parfait over the traditional strawberry shortcake. I thought they would be adorable, fun, and of course yummy. While shopping around at Costco, I found some really nice bright red strawberries. They weren’t as big as I would have liked but they looked nice, fairly plump and a good price – so what the heck why not. I couldn’t wait to get home to make these parfaits filled with nothing but goodness. So, my friends and fellow food bloggers, I cheated. Yes, I have to be honest. I used boxed cake mix and cool whip. Please don’t judge me. I altered the ingredients a bit, and the boxed cake mix taste almost like homemade. I used 3 eggs, 1 tablespoon of vanilla extract, a 1/2 stick of soften butter, and 1 cup of milk. You can use 1 stick of butter instead of 1/2 if you’d like. However, the cake was still moist and delicious. I would have used 1 stick of butter, but my daughter is very health conscious and at times I tend to use a minimal amount of butter when I can without altering the taste. Check out the finished product. They are so adorable. I’m here to tell you that we will be having these more often for dessert. My kids and of course my hubby loved them. I must admit that I’m so happy that I added a little twist and turned them into parfaits. Oh yeah – scored. 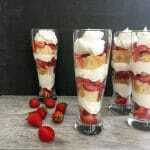 Indulge yourself with these delightful Strawberry Shortcake Parfaits. 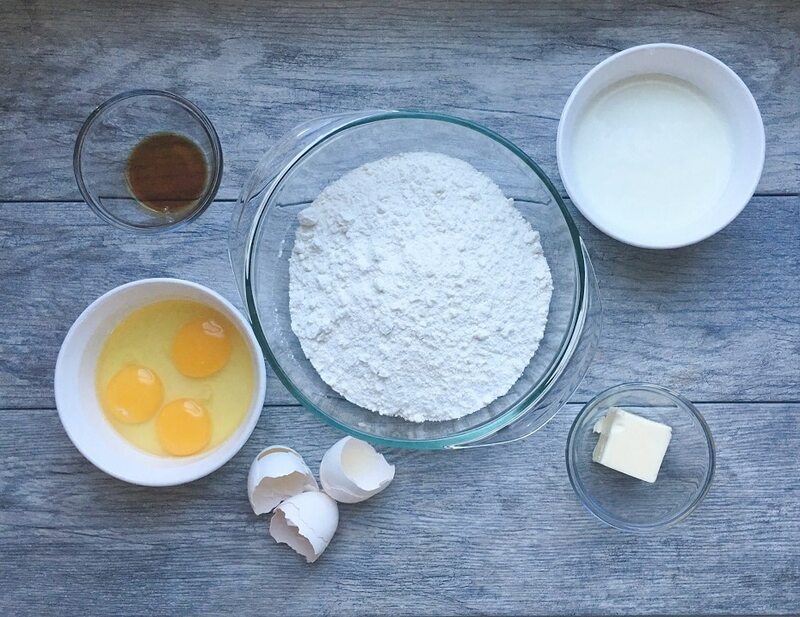 They are light, delicious and are easy to make. 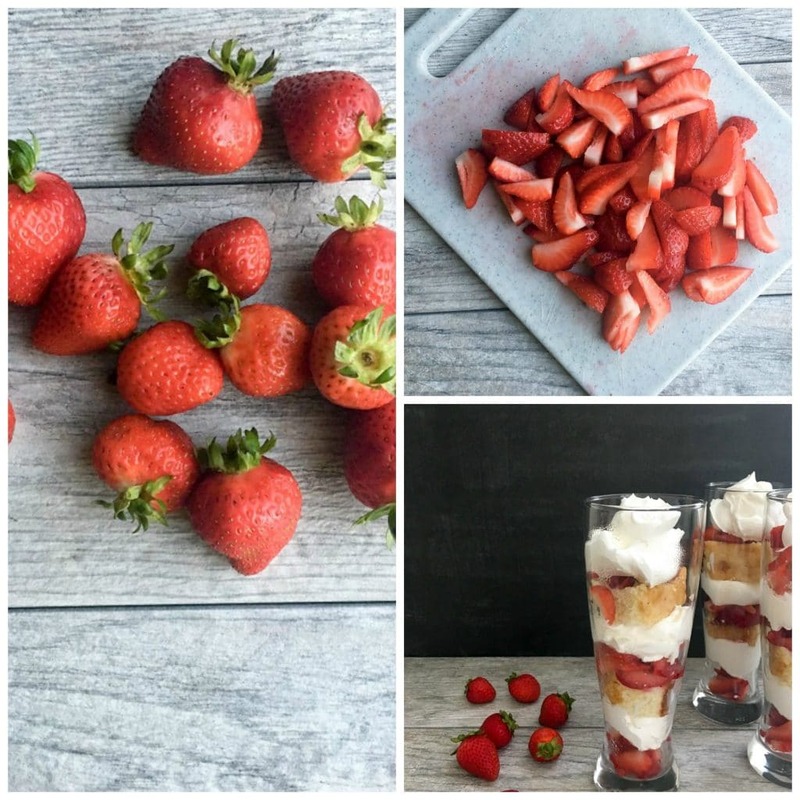 Slice strawberries and sprinkle with 1/2 teaspoon of sugar. Give a quick stir. Put in a container cover and place in fridge until ready to use. 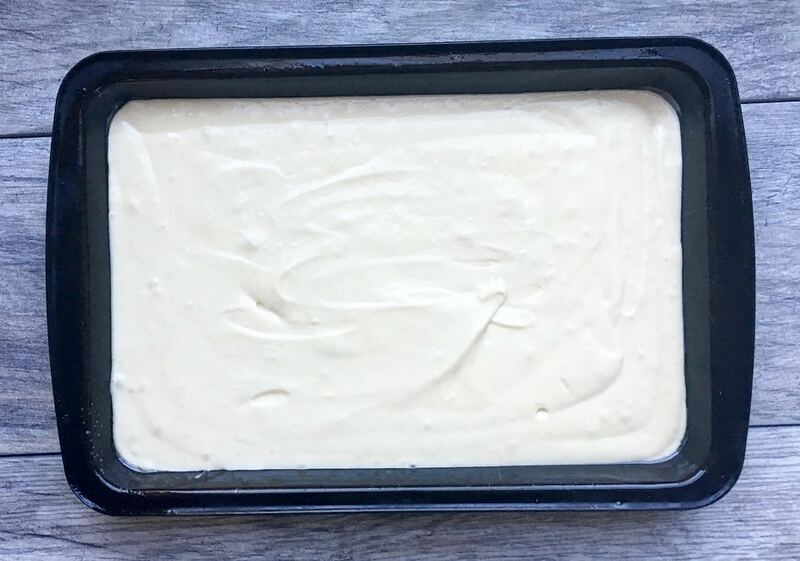 Pour batter into already greased cake pan. Put cake in 350 degree preheated oven and use cooking time as suggested on box. 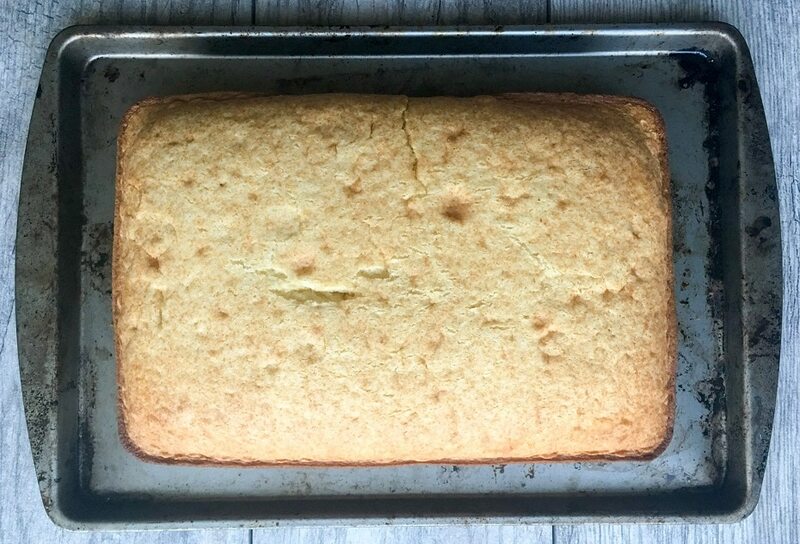 Place cake on a cooling rack. After cake has cooled. Cut cake into small squares. 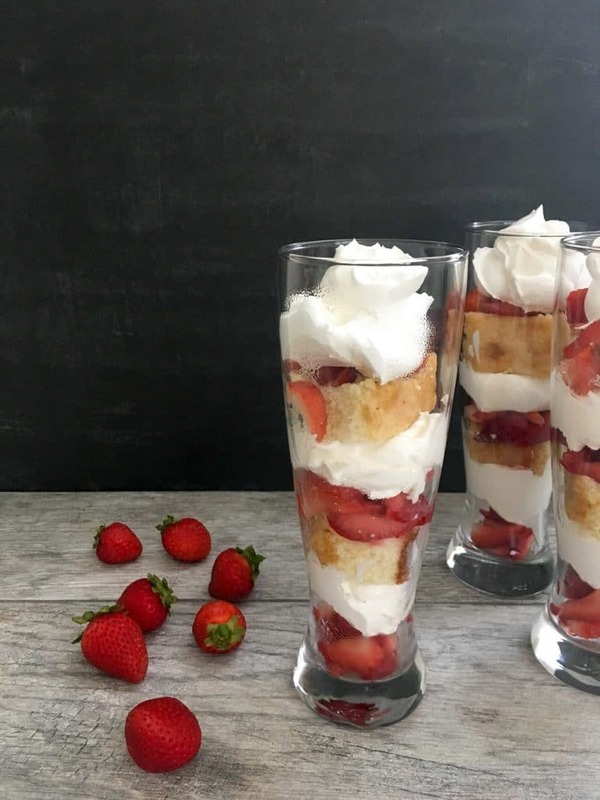 Put a few tablespoons of cool whip at the bottom of the glass, add strawberries, add a piece of cake, add strawberries, add cool whip and repeat. Top the whipped cream. Place parfait in the fridge until ready to eat or serve immediately. Enjoy!